Just a quick line to let you all know that our recent Celebrate in London package was a triumph. Excellent service and everything went great, thank you very much. Just wanted to let you know that we had a great evening out. Thank you for the excellent customer service I received when claiming my voucher. With personalised message to make it extra special. Gift pack normally arrives the next day and fits through your letter box. Delivered to your email inbox immediately. Trusted and experienced with 1,000’s of customers. We know and love theatre. It is all we do. We won’t be beaten on price, guaranteed. If you are looking for great Christmas gifts that put a smile on your loved ones and friends faces, then you are in the right place. 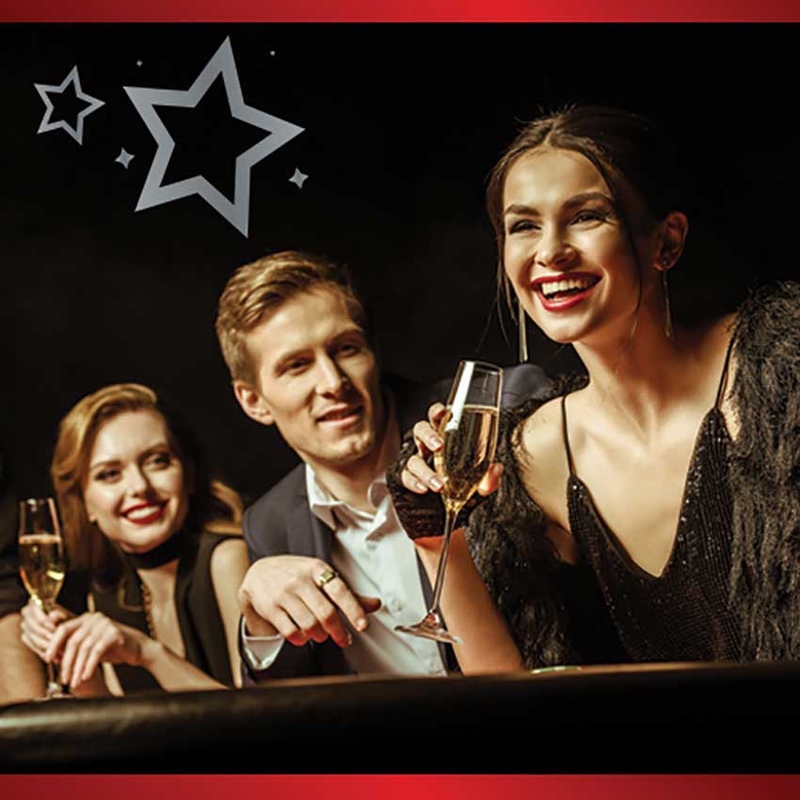 Forget the boring, predictable gifts and imagine their joy as they open this wonderful treat, a night out in London’s glittering West End. Our theatre gift voucher package gives the lucky recipient the choice of 20 top musicals and plays and they will also enjoy a delicious two course meal. Go on, give them the perfect Christmas gift this year. Organising a team or group celebration? Lucky you. This is your chance to be hailed as the office hero. Why not do something different this year. Celebrate this year’s achievements with a top musical and dinner package in London’s glitzy West End. You can find more information on our great group theatre ticket and dinner Christmas packages this season here, or call our team now on 020 8336 2352. We also have great Wedding Day Gifts, Anniversary presents and Birthday presents to make the most of. Our theatre gift voucher packages include musicals and plays together with dinner for two in one of our handpicked Covent Garden restaurants. Take advantage of London at this wonderful time of year. London is just great in Spring. Fresh air and bright sunny days (without the heat). It really is the perfect time to enjoy the theatre capital of the world. We have great theatre voucher gift ideas that will help you choose a unique present for any occasion. We specialise in theatre voucher gift packages for Christmas presents, Anniversary gifts, Wedding presents and Birthday gifts. Our theatre gift vouchers and theatre tokens package is particularly popular. Our unique gifts also work well as staff leaving presents, rewarding sales targets or just simply saying thank you for a job well done. We know and love London and are dedicated to bringing you the best parts of theatreland. We make it easy and straightforward for you. Our gifts arrive in an exclusive free personalised gift pack and include free next day delivery. Our Best Seller, the West End Show and Dinner for Two Theatre Voucher gift package, gives you the ultimate flexibility. The lucky recipient can choose ANY SHOW from a list of over 20 Top London musicals and plays together with a delightful meal for two. 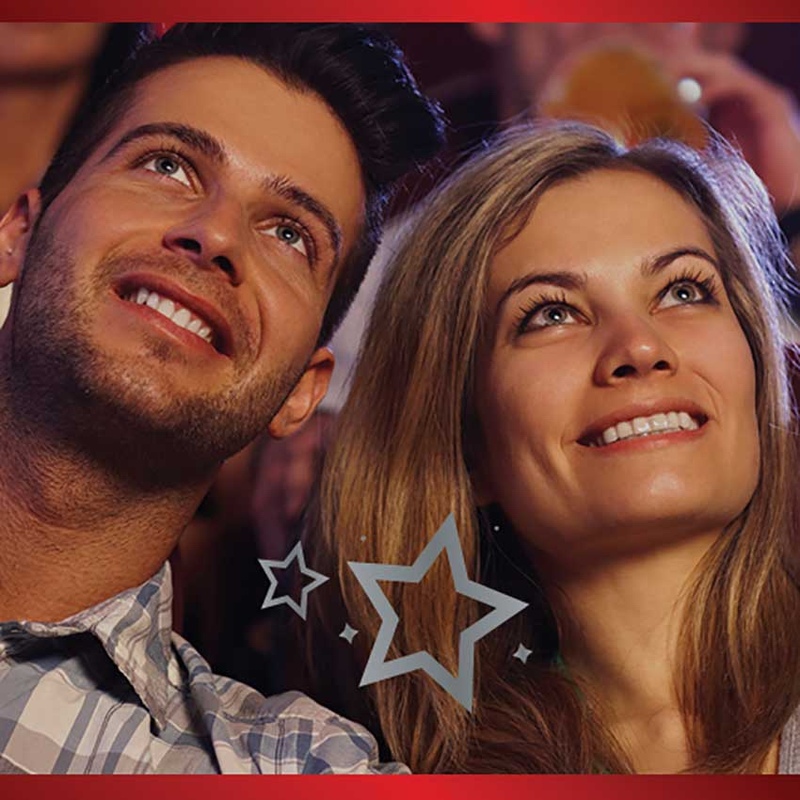 Celebrate In London’s show and dinner theatre voucher package is totally flexible. We have a fabulous choice of restaurants in Covent Garden and the surrounding theatreland area, including English, Brazilian, Italian, Chinese and American. You can have your meal before or after the show, whichever suits you best. 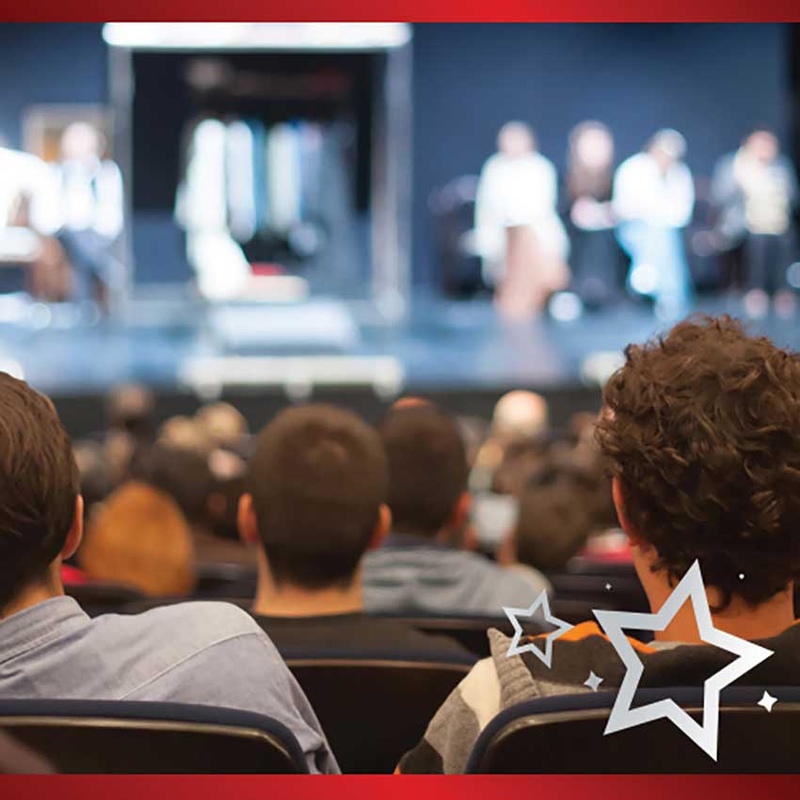 Our theatre vouchers and theatre tokens gift package takes the hassle out of you having to choose a musical or play, and instead gives the recipient the choice. Don’t forget, this is all beautifully presented in a personalised gift pack which includes free next day delivery. LET THEM SEE THE SHOW THEY WANT, WHEN THEY WANT. We offer a free personalised gift pack which can include a special message for the lucky recipient. It is not just an understated card with a voucher inside. Our personalised gift pack is a gift initself. You have something tangible, a gift to physically handover. All of our theatre voucher gift packages include a two course meal. It is not just tickets. Go on, make it an extra special treat and include a two-course dinner as well. Our Any Show Package gives you 20 London musicals and plays to choose from. It is all very flexible, so they still have the benefit of seeing the show they want, when they want. Visit our West End Show & Dinner for Two gift voucher package for more information on why our great gifts make the best alternative to theatre tokens. WHY BUY THEATRE VOUCHERS FROM CELEBRATE IN LONDON? Simple. Because here at Celebrate In London, we always strive to be the best. We are celebrating our 10th birthday this year. Our ten years of experience not only means that we are a trusted and experienced company, but that we can offer a bespoke service. This includes useful theatre seating plans, detailed show information (as well as our very own show reviews), and advice on everything from musicals and restaurants, to personal tips for an after show tipple. At Celebrate In London, we aim to be the best, and we do this by constantly striving to offer the best service. We know and love theatre, and are lucky enough to regularly experience London’s West End musicals and plays, and dine out at our handpicked Covent Garden restaurants, meaning that we can always offer tips and advice. 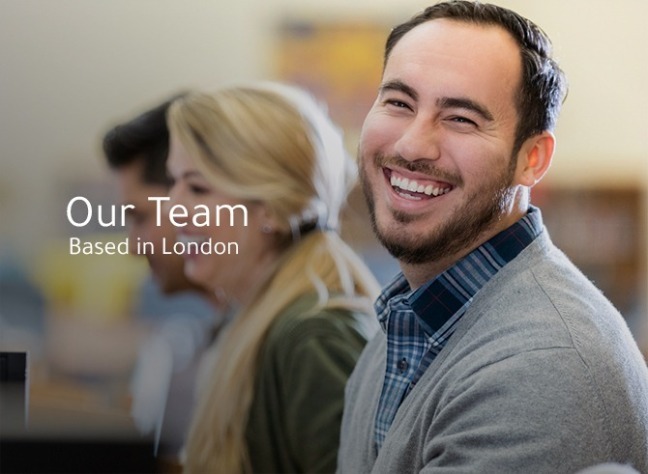 Our London based team are friendly, knowledgeable, and happy to help. When we offer our West End theatre and dinner experience package, we want to make sure we are offering the best product we possibly can. To that end, we are so confident that you will not find it online anywhere else cheaper. In fact, we are so confident that we offer a best price guarantee – if you can find it from another online supplier at a lower price, we will offer you double the difference! © Copyright 2015 Celebrate In London. All Rights Reserved. Wholly owned by Real Gift Experiences Limited. Registered in England and Wales. Company Number 05606741.